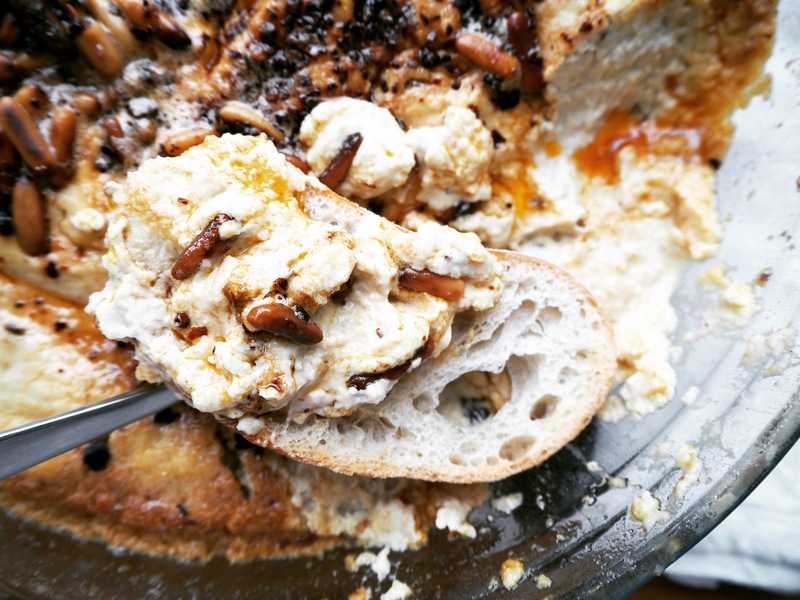 Hot Hummus With Pine Nuts And Butter – This Will Change The Whole Hummus Game! 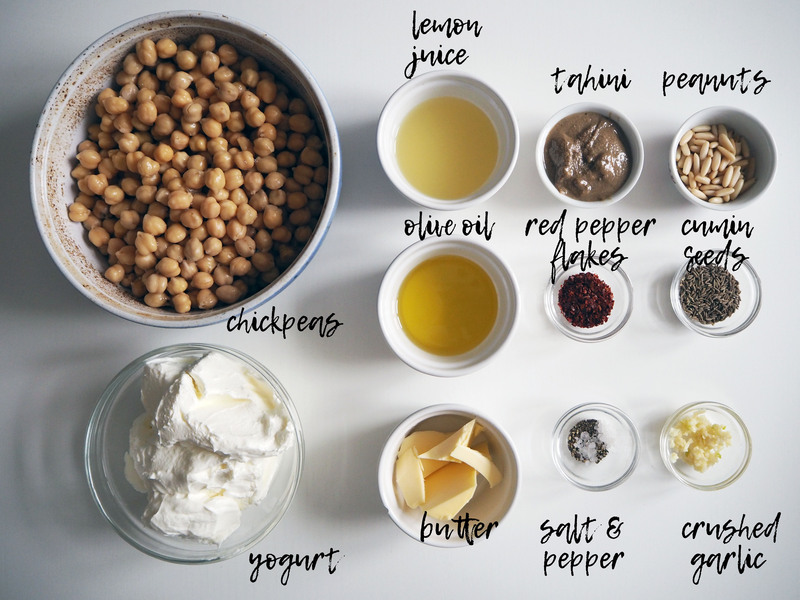 I must admit that I was slightly suspicious about the idea of “hot hummus” when I first saw a recipe in the mezze cookbook I bought in Istanbul last summer. I am not a big fan of hummus anyway, but when it’s hot, I thought it might feel too heavy. Oh boy, was I wrong.. Not only it is light, but also it is so delicious that I could probably eat the whole pot when I first made it. 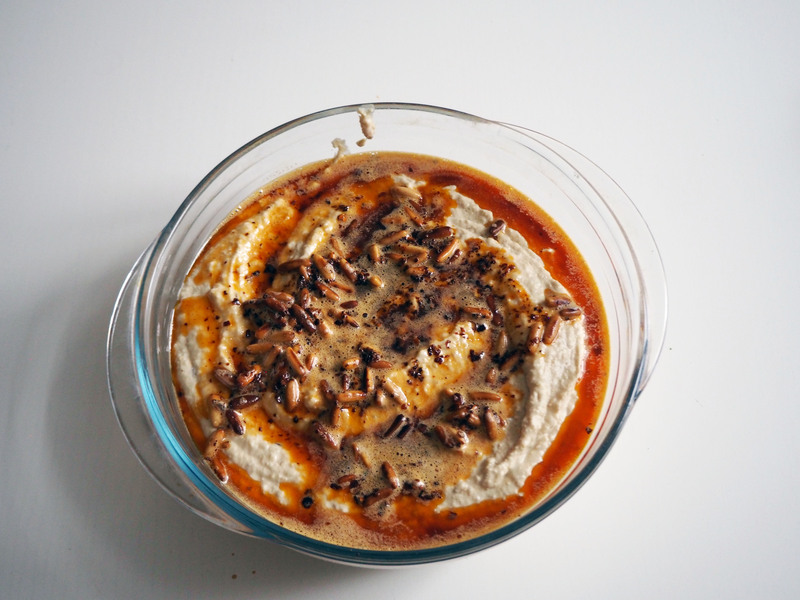 Basically, hot hummus is a baked hummus. 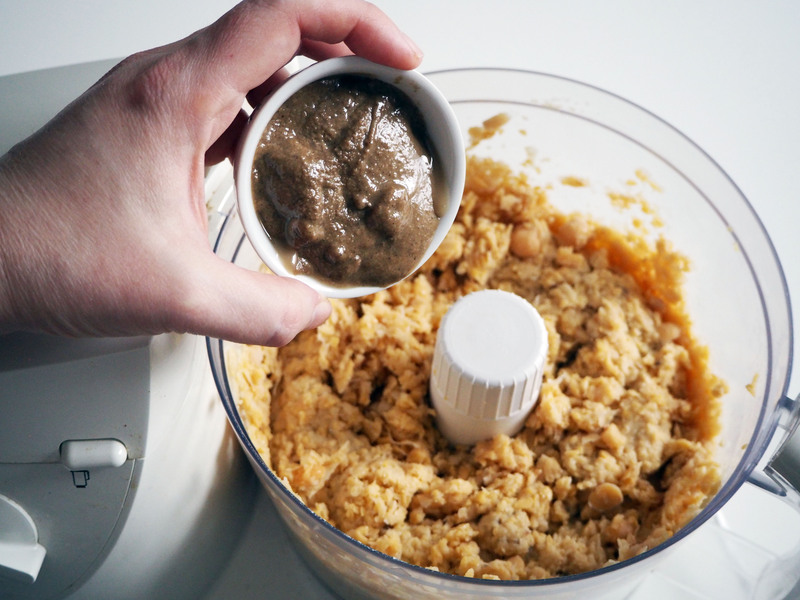 It is pretty simple, with just a few extra ingredients added to the basic hummus recipe and then baked for 20-25 minutes. 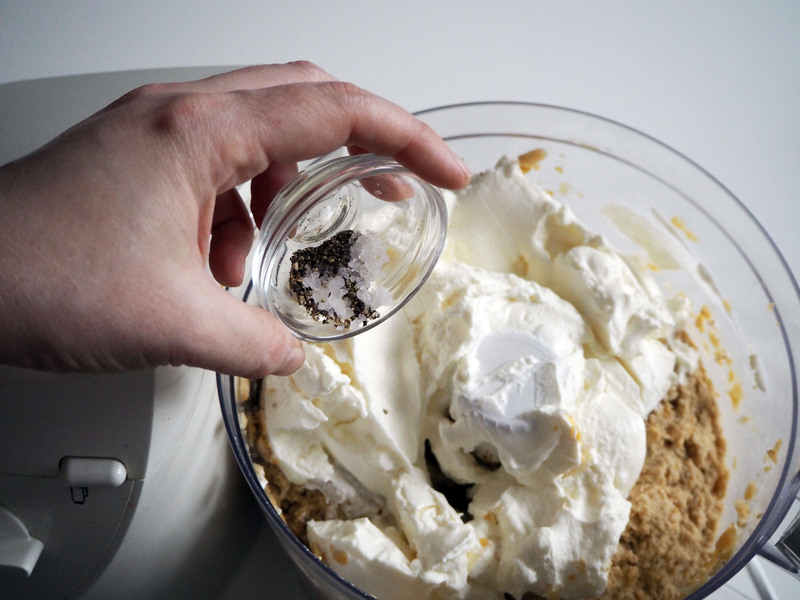 And it is served hot/warm – so bake it right before serving. 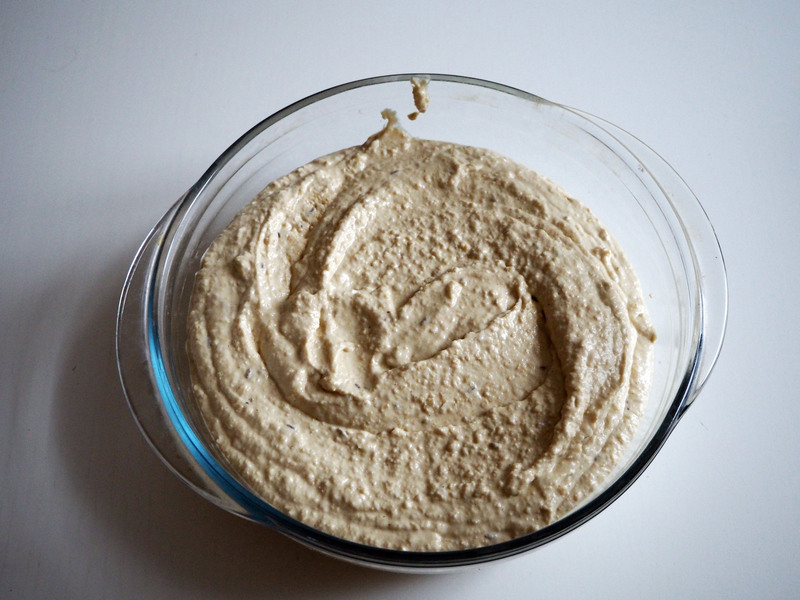 Another thing that makes hot hummus different from basic hummus is that it is not vegan. 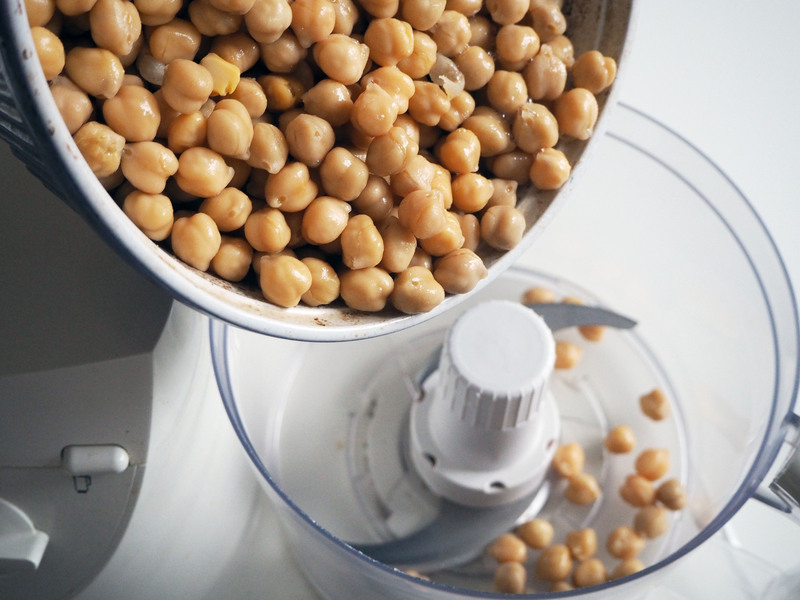 A good amount of thick Turkish yogurt is added to make the chickpea mixture smooth. 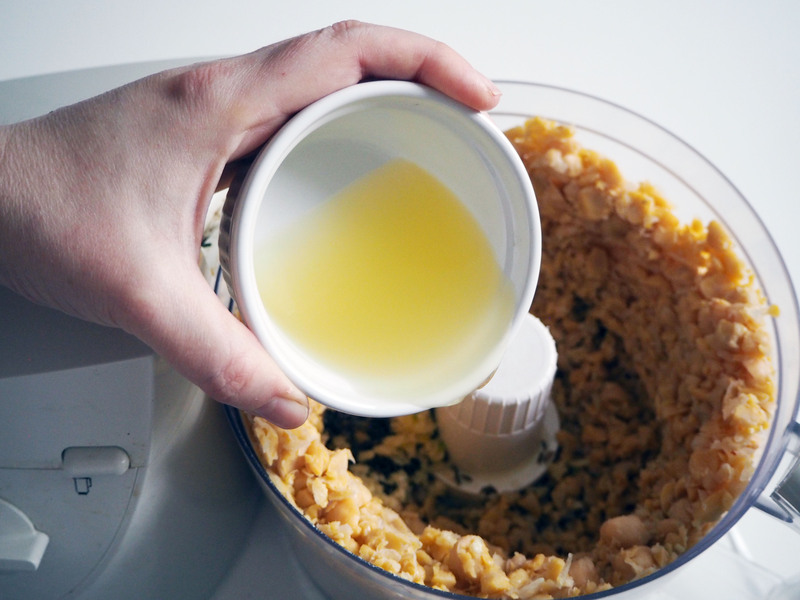 Besides yogurt, there is some melted butter added before it goes into the oven. 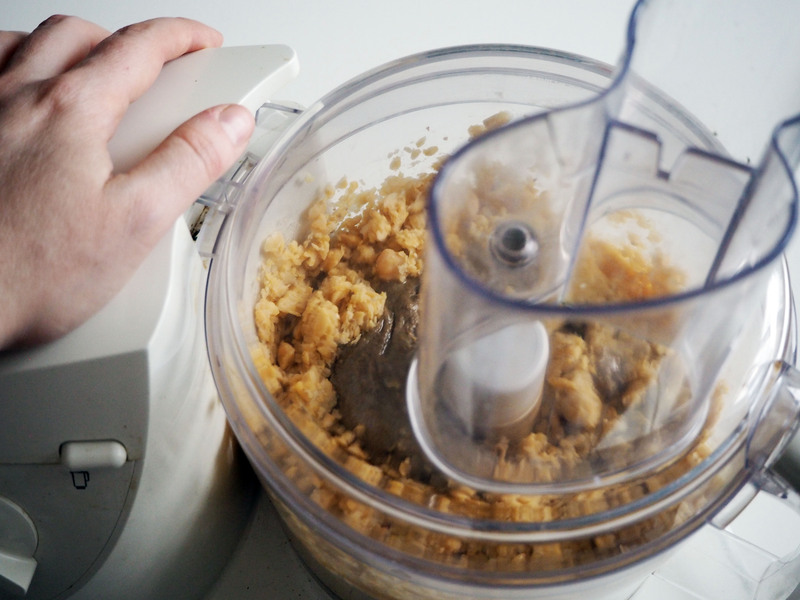 However, I also made a vegan version of this recipe with substitute ingredients, and you can also see the ingredients for vegan recipe below in the list. 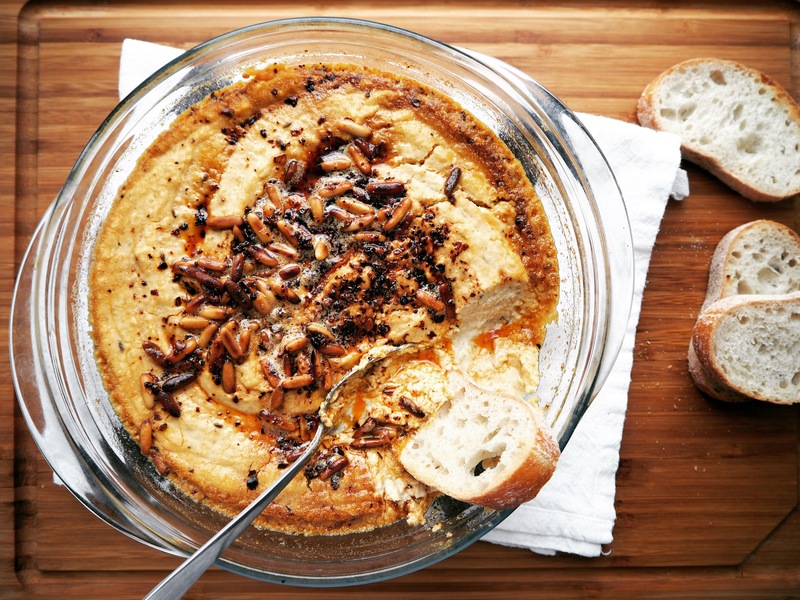 And yes, this baked hummus changes the whole hummus game! Enjoy!! serve with warm, crusty bread, nice crunchy baguette etc..
2. 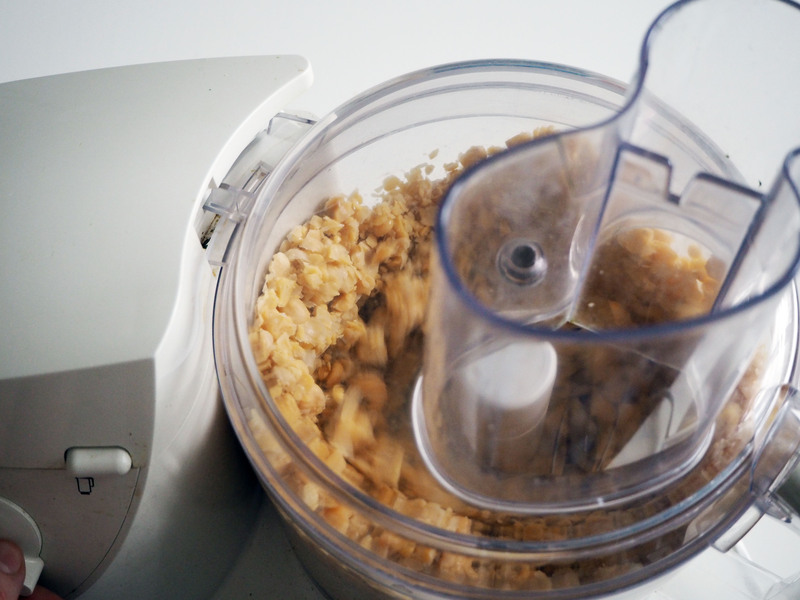 Put chickpeas in a food processor and process them as much as possible. 3. 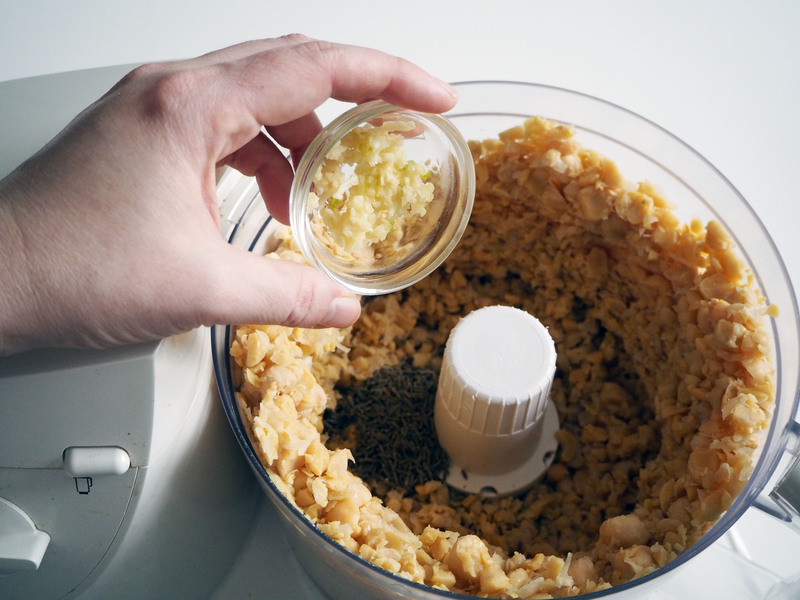 Add cumin seeds, crushed garlic, olive oil and lemon juice and process more. 4. 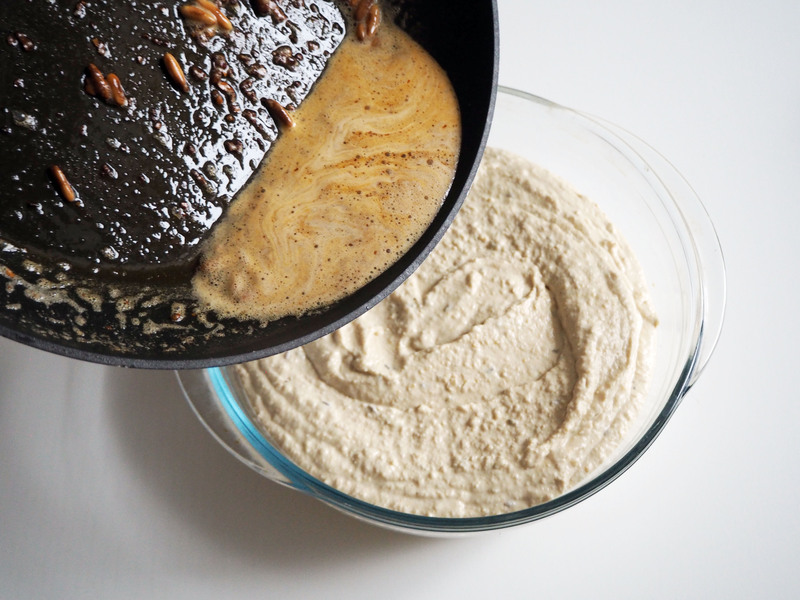 Add tahini and process even more! 5. 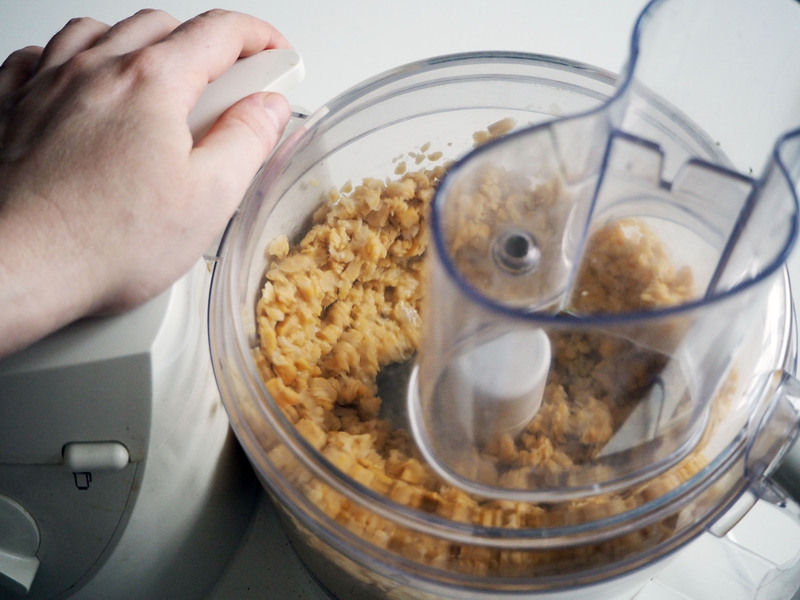 Add yogurt (or soy/coconut yogurt if you’re doing vegan version), salt and pepper and process until it becomes a smooth, creamy mixture. 6. 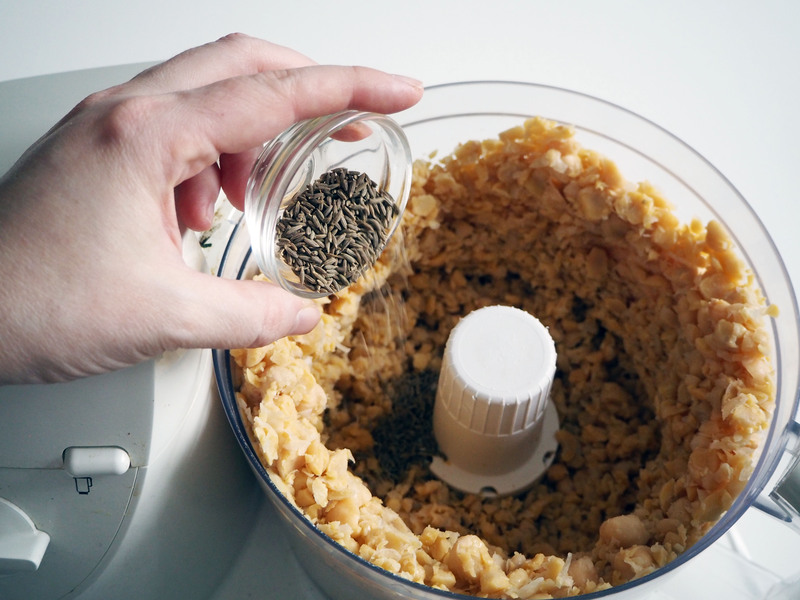 Transfer the mixture to an oven dish (you do NOT have to grease or do anything to the dish beforehand). 7. 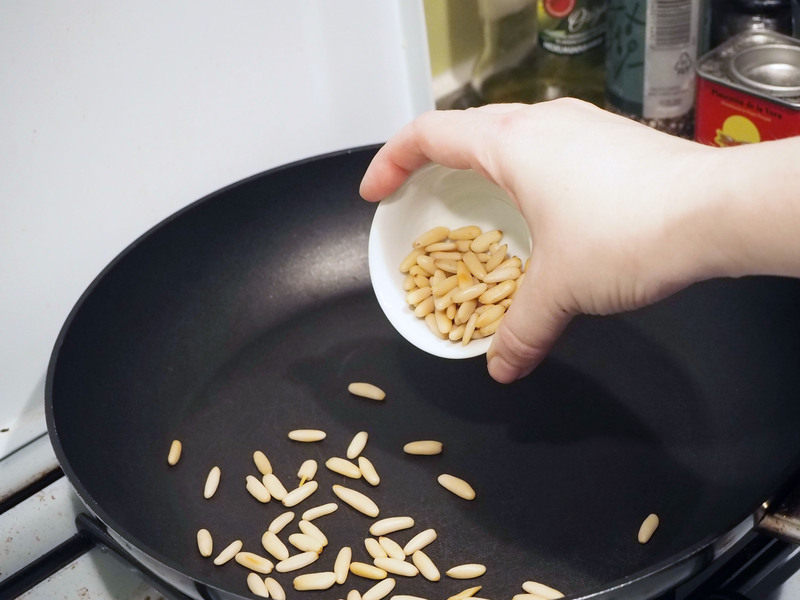 In a medium size frying pan on medium heat, put pine nuts and roast them until they begin to brown and release their aroma. 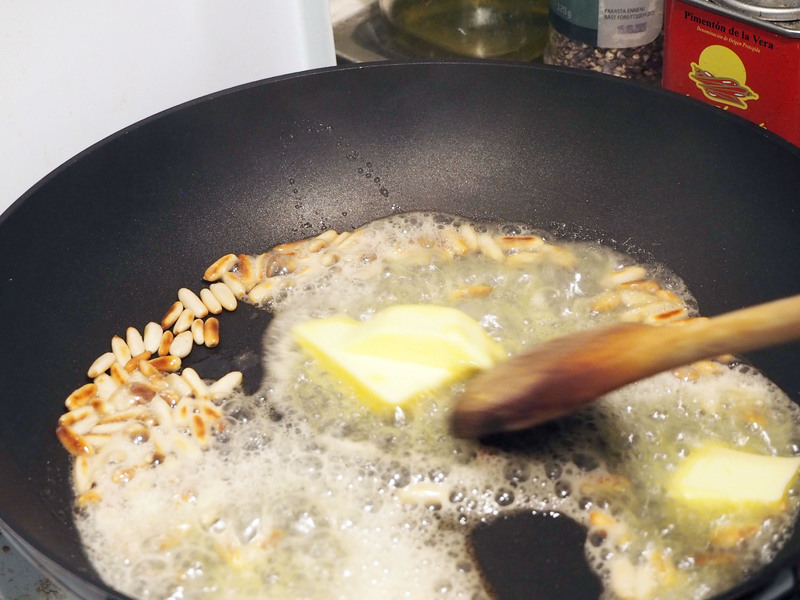 Add butter and stir until it melts (if you are doing vegan version, add coconut oil and melt it, or add canola oil and warm it together with roasted pine nuts). 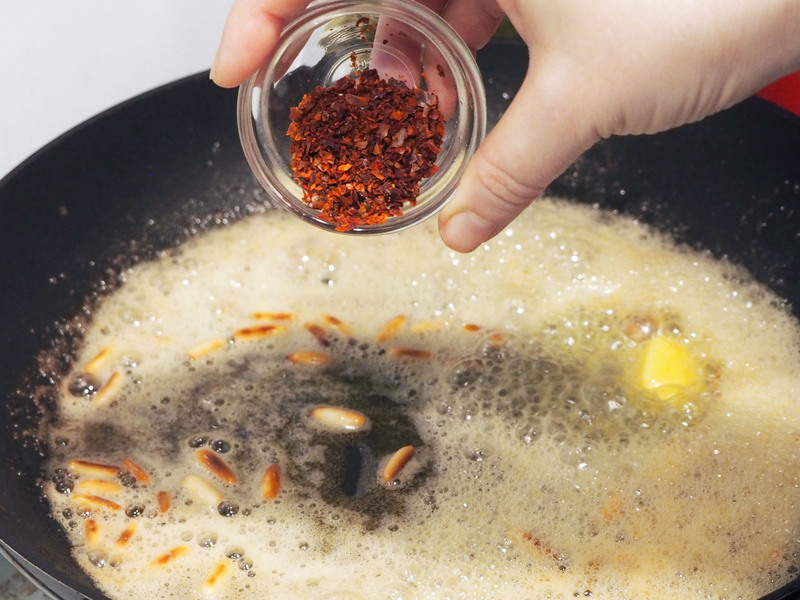 If using, add red pepper flakes and stir for half a minute maximum (do not burn the pepper). 8. 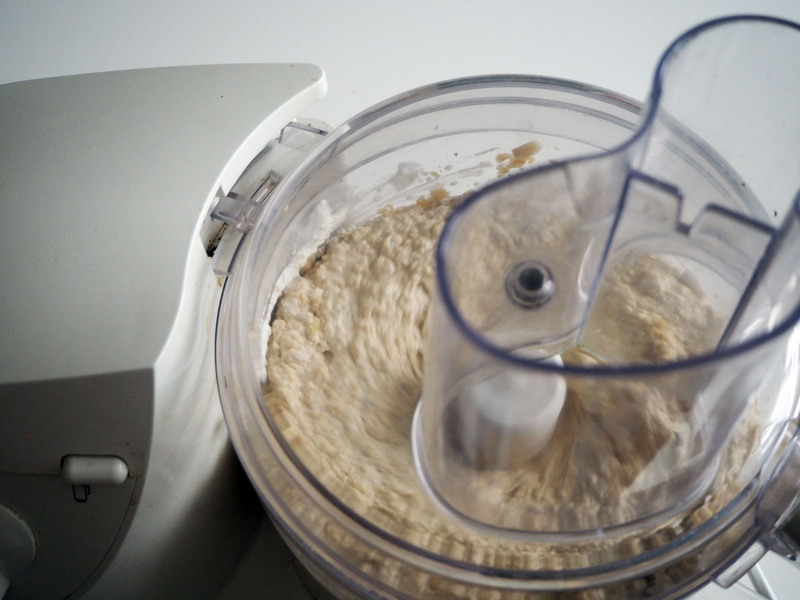 Pour line nut/butter/red pepper mixture on creamy hummus mixture (try to spread as evenly as possible). 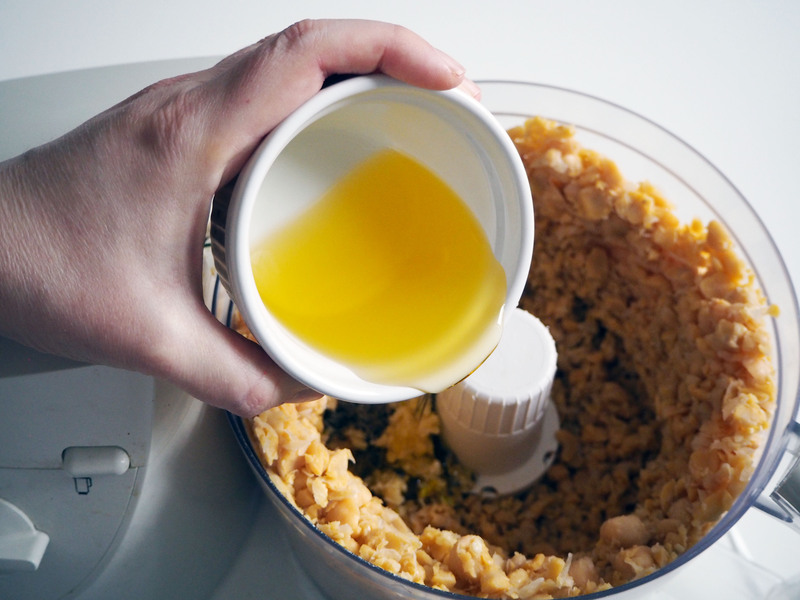 Put in the oven, in medium rack and bake for 20 to 25 minutes, until at least half of melted butter is absorbed by hummus. 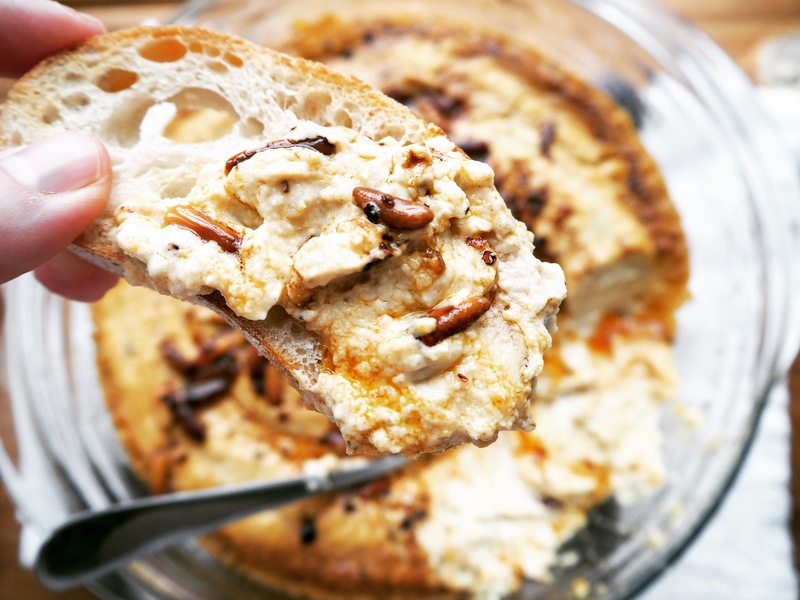 Serve immediately after taking out of the oven with warm, crusty bread slices. Enjoy! Oh my word, this is absolutely fantastic. I’m a big fan of hummus as it is, but this seriously takes it to a whole other level. Been scrolling up and down this post a couple of times now and it just gets better and better. 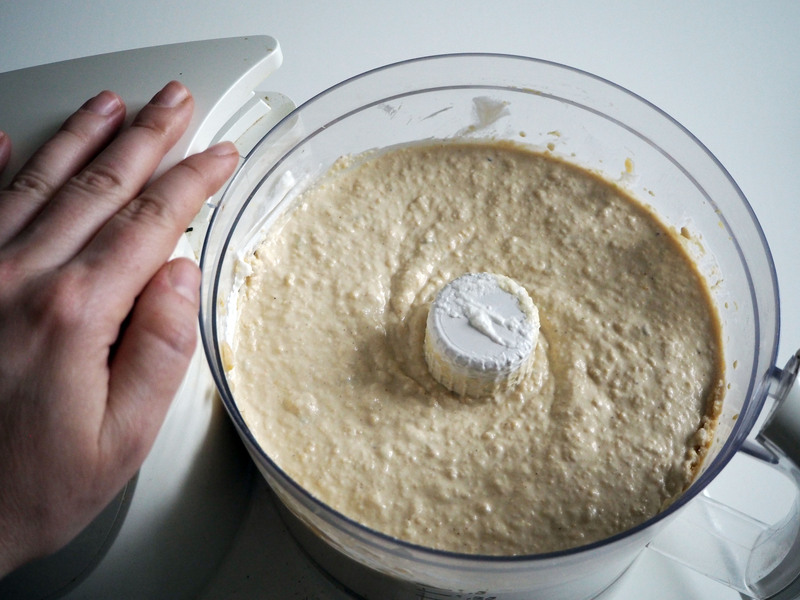 Huge chunk of delicious warm bread and you’re done! Lovely! Hi! Thank you for your lovely comment! 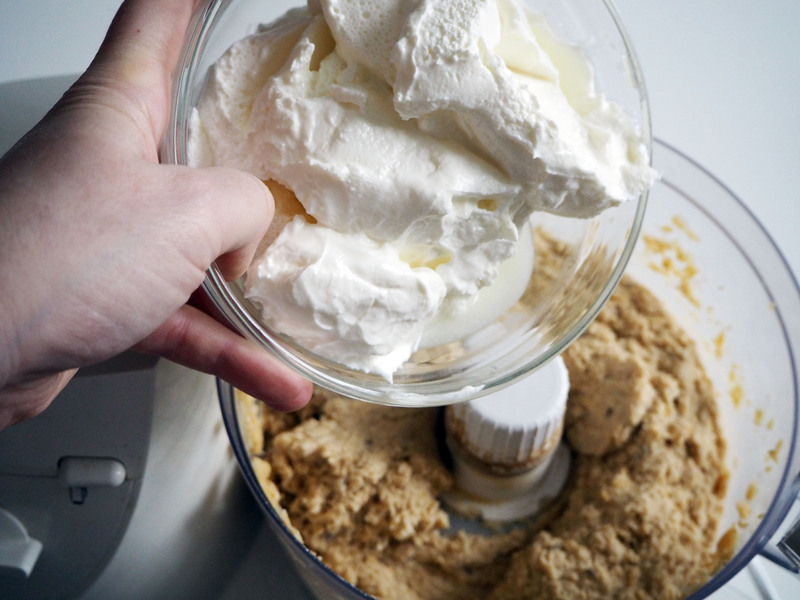 Sure you can share the recipe – or would you like me to post that myself? Looks like a nice group you have there. Cheers! Looks lovely, thanks for sharing and I really loved the photos, very professional!